Global Football is celebrating 20 years of providing standout Division III college football players an opportunity to play football in Mexico by naming 25 players to the All-Tazón Team. The team includes four individuals who went on to play in the NFL in London Fletcher (John Carroll University, Washington Redskins), Fred Jackson (Coe College, Buffalo Bills, Seattle Seahawks), Jason Trusnik (Ohio Northern University, New York Jets, Cleveland Browns, Miami Dolphins and Clint Kriewaldt (Detroit Lions, Pittsburgh Steelers). The All- Tazón team was selected by a panel of veterans of the Tazón De Estrellas (Bowl of the Stars) and its Global Football-organized predecessor The Aztec Bowl, from games played between 1997 and 2016. 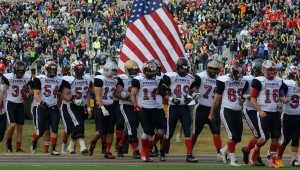 Players were chosen based on their on-field performances and the leadership qualities they displayed south of the border, by 20-year veterans of the event, Global Football President Patrick Steenberge and player personnel director John Roslien (Central College), and several coaches who have traveled as members of the Team Stars & Stripes staff during the past two decades. Players were selected from: Alfred University, Augustana College, Baldwin-Wallace University, Buena Vista University, Carnegie-Mellon University, Central College, Cow College, De Pauw University, Framingham State University, Grove City College, John Carroll University, Lycoming College, North Central College, Ohio Northern University, Otterbein College, Pomona-Pitzer, Tufts University, Wartburg College, University of Wisconsin-Stevens Point and University of Wisconsin-Stout. The selection of players from 20 different colleges comes ahead of the annual Tazón De Estrellas, being played for the 20th time, in 14 cities, this year at CETYS University in Tijuana on Saturday, December 16. The unrivaled event will again host a week-long event of team practices, community service during the buildup to the game between a Team Stars & Stripes squad of select NCAA Division III student-athletes, led by head coach Don De Waard, and the CONADEIP All-Stars from Mexico’s private universities. 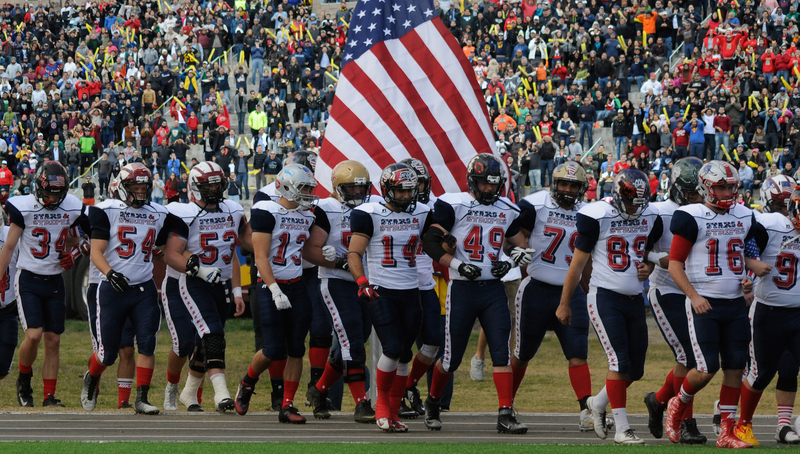 Coaches wishing to nominate deserving D-III athletes for a place on the 2017 Team Stars & Stripes roster should contact Director of Player Personnel & Football Operations John Roslien: RoslienJ@central.edu.